This was a close one all the way, and the last time I checked Breaking Bad and Game of Thrones were tied. It seems only fitting that Vince Gilligan’s show would finish first, right on the eve of one of the most-anticipated final seasons in TV history. August 11 cannot come soon enough! Too bad that Homeland and House of Cards were shut out, but that is some stiff competition. This Week’s Poll: The latest Hugh Jackman/X-Men film, The Wolverine, topped the box office over the weekend, and it has been getting mostly positive reviews overall. I haven’t seen it yet, but I’m glad to hear that most have enjoyed it. This week’s question is for the X-Men fans out there: what is your favorite X-Men film? Do you still think the original is the best? Do you prefer its first sequel, X2? Or do you feel The Last Stand is a misunderstood classic? Let’s hear your thoughts. My favorite for sure, Eric. Same here, Michael. Would love to see it get the Emmy as well. 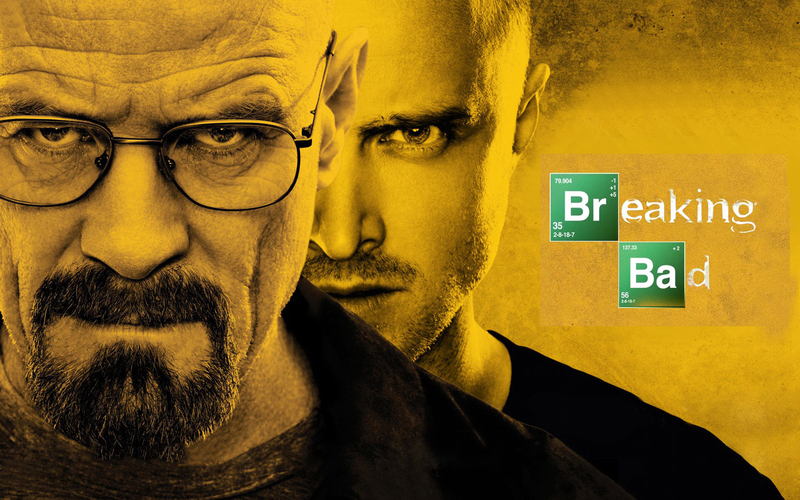 Have you been doing Video Countdown – From Walter White to Heisenberg in 30 Days over on AMC’s Breaking Bad site? No, I haven’t, but that looks awesome. Thanks for the heads up! Yeah, Mr. White! Yeah, SCIENCE!!! Those top two are definitely my #s 1 and 2 on TV right now. And there’s kind of a big gap between them and #3 (Boardwalk Empire). I’m right there with you. I still need to see Boardwalk Empire’s third season though… the ending of #2 kind of left me flat. BWE is a show that I want to like so much more than I do because the subject matter is awesome, and so are the people involved with making it (Scorsese, Buscemi, Shannon, Michael Stuhlbarg, Kelly McDonald…). But it’s just not quite in that elite level. And, if I’m being honest, I think Justified is gaining on it big-time. Yeah, sometimes it feels like BWE is so desperately trying to reach the level of say, The Sopranos, but it’s missing a certain something. But you’re right, the cast is amazing and it’s worth watching just for them alone. Justified, eh? I might have to start that next. For the first 1 1/2 seasons, I thought Justified was kind of lame, just another cop procedural thing. But then it started fleshing out secondary characters and it’s really found its stride at the end of season 2, and all during seasons 3 and 4. Hmm, yeah I’ll have to check that out then. It’s one of those shows that I have heard is good, but I don’t know anyone that watches it so it keeps falling out of my radar. And I know exactly what you mean about wanting something “fun” sometimes. I just started watching Firefly for the first time, and I am enjoying it a hell of a lot more than I expected. It’s a nice alternate from the usual heavy-hitters I watch. Normally I’d agree that Breaking Bad is an awesome show but that last season was seriously underwhelming for me. I don’t like X men films too much but First Class was the most enjoyable, the next one seems like it will be amazing, especially with that cast! Agreed about X-Men though. The only one that I really, really liked was First Class. Tough one. I was torn between X2 and X-Men First Class. I went with X2. This should be a close one. Thanks for voting, Victor! The Last Stand is pretty underrated I think, thematically I find it interesting. Although maybe other X-men films are better for action or story. I liked First Class too. The weakest for me is X-men Origins(the one with Liev Schreiber), that was just plain boring. With the caveat that I haven’t seen First Class or The Wolverine, my favorite is the original. There’s been a steady drop in quality each iteration along the way. I agree with you regarding the original trilogy. By the time I watched the third one, I had had enough. First Class was quite good though. Glad to see Breaking Bad at first. I’m a bit surprised Mad Men only had one vote, that would have been my second choice. Yeah, I expected more love for Mad Men, too. Tough competition though. Glad to see Breaking Bad win this one. Feels like it should actually win too, great to see it go out with a bang. Tough poll this time. Toss up between First Class and X2. Went for X2. Both were excellent X-Men films and really looking forward to Days of Future Past. I really hope Breaking Bad gets the win as well. Would be a fitting end to the series. It seems like it’s going to come down to those two. Thanks for voting, Ruth!